Grammy-winning rapper, producer, Songwriters Hall-of-Famer, and So So Def label owner Jermaine Dupri will lead City of Hope’s first-ever after-party at The Barker Hangar in Santa Monica following next week’s eagerly anticipated gala at the same location. 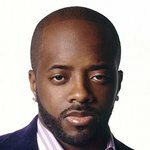 Dupri was recently honored with his own exhibit at the Grammy Museum in Downtown Los Angeles. The four-month So So Def exhibit is dedicated to his work in shaping hip-hop culture. This will be Dupri’s last event before he hits the road for the Cultural Curren$y Tour – a celebration of his Atlanta-based label’s 25th anniversary. The Oct. 11 celebration supporting the acclaimed nonprofit will see Jon Platt, Chairman and CEO of Warner/Chappell Music, honored with the organization’s prestigious Spirit of Life award. Beyoncé will perform at the gala, which will be hosted by Pharrell Williams, with Jay-Z presenting the award to Platt. Mary Mary, the four-time Grammy winning gospel duo, will treat gala attendees to a special performance. Sisters Erica Campbell and Tina Campbell are one of the most successful contemporary gospel acts in history. Their groundbreaking sound – featuring elements of soul, hip hop, funk, and jazz – has garnered two American Music Awards, ten Stellar Awards, twelve Dove Awards, three Soul Train Awards and three BET Awards in addition to their Grammy nominations and honors. The after-party will be sponsored by D’USSÉ Cognac, Prisoner Wine, and Pepsi-Cola. City of Hope is a world-renowned independent research and treatment center for cancer, diabetes and other life-threatening diseases. Each year, the organization recognizes a philanthropic leader whose work has fundamentally impacted music, film or entertainment. The coveted Spirit of Life award is its highest honor, having been given to such noted figures as Quincy Jones, Mo Ostin, Clive Davis, Frances W. Preston, Shelli and Irving Azoff, Doug Morris, and Sir Lucian Grainge.